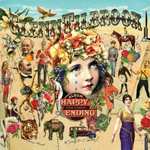 When I picked up Glenn Tillbrook’s latest LP, Happy Ending, I didn’t know quite what to expect. All songs are self-penned (no Chris Difford lyrics here) and frankly, I hadn’t been listening to Tilbrook since Squeeze was at their peak. On 1st listen, my impression was one of wonder. This was not to be your father’s Squeeze record. There are significant George Harrison/Indian embellishments, beautiful string arrangements and Tilbrook’s voice is better than ever. On the down side, a track or two wander a bit. While one in particular might be described as somewhat ponderous, some of these tangents make for a very interesting recording – if it doesn’t make a few “best of” powerpop lists, it makes for one of the most interesting recordings of 2014. After a couple of listens it becomes evident however, that Tilbrook’s ability to write a great melody and a catchy hook overrides any other perceived shortcomings. 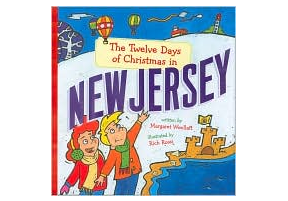 Some of the highlights include “Persephone” with its gorgeous string arrangements and far-eastern elements, “Rupert” (presumably about Ruport Murdock), “Kev and Dave”, and the very catchy “Peter”. “Everybody Sometimes” may be the best track of all with its irresistible chorus – and its got a ukulele. What more could one ask for? A surprisingly good listen. Buy it here*. *This release comes packaged in three forms. The purchaser gets Happy Ending in vinyl LP, CD and digital form all for one price.